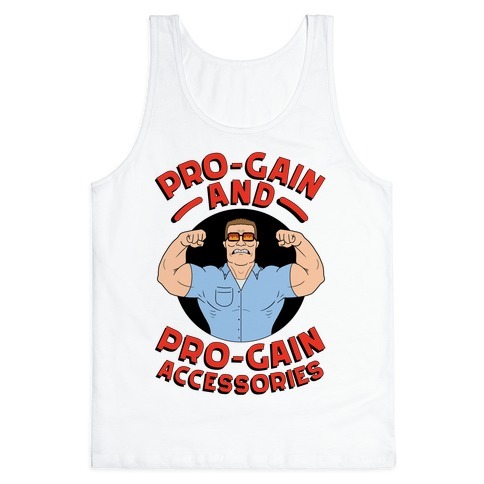 Browse our collection of 16 Hank Hill Meme T-shirts, Mugs and more. Designed and printed in the USA. 100% Satisfaction Guaranteed. 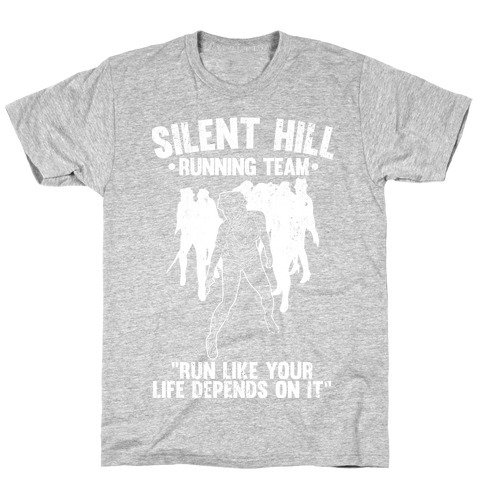 About this Design Join the Silent Hill Running Team. Running from pyramid head and the nurses is something any gamer who has played it is used to. Just imagine it the next time you're on a treadmill, nerd. Join the Silent Hill Running Team. Running from pyramid head and the nurses is something any gamer who has played it is used to. Just imagine it the next time you're on a treadmill, nerd. 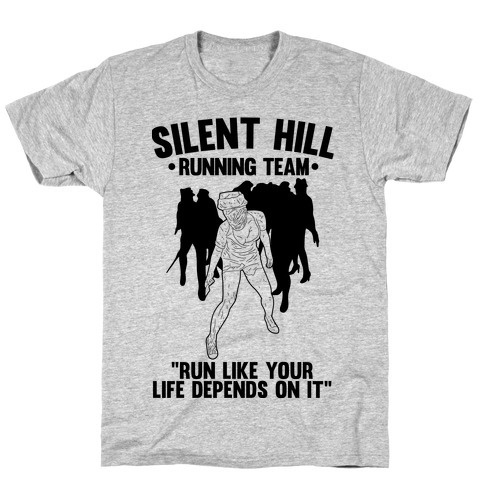 About this Design Silent Hill Running Team, run like you're out of ammo. You probably don't have enough firepower to take on Pyramid Head so you better start sprinting. 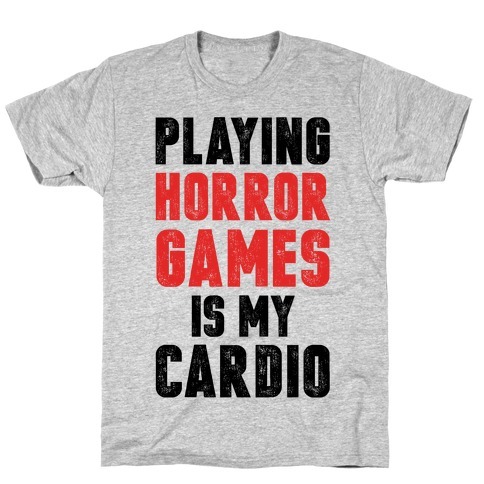 Show your love of survival horror video games and cardio with this design. Silent Hill Running Team, run like you're out of ammo. You probably don't have enough firepower to take on Pyramid Head so you better start sprinting. 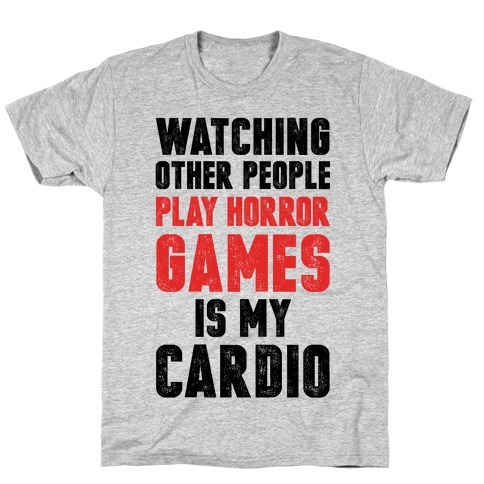 Show your love of survival horror video games and cardio with this design. About this Design The streets are dangerous, you better learn some self defense. Don't waste your time working out at any old gym, come to Bobby Hill's Self Defense Dojo where you'll learn the skills like the patented groin kick and the shrieking battle cry "that's my purse, I don't know you" to protect yourself and become king of the hill. The streets are dangerous, you better learn some self defense. 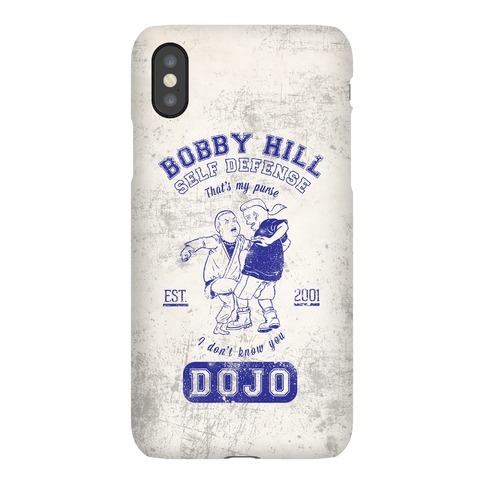 Don't waste your time working out at any old gym, come to Bobby Hill's Self Defense Dojo where you'll learn the skills like the patented groin kick and the shrieking battle cry "that's my purse, I don't know you" to protect yourself and become king of the hill. 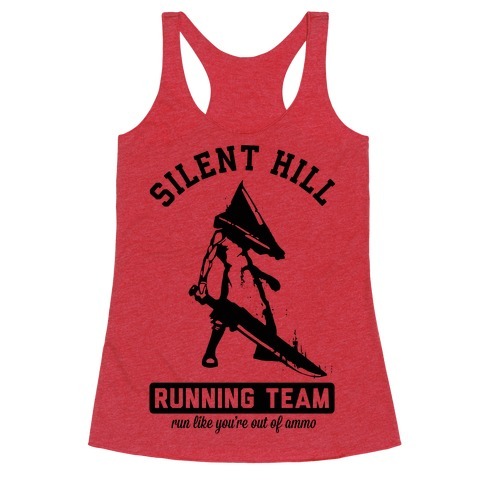 About this Design Join the Silent Hill Running Team. Running from pyramid head and the nurses is nothing any gamer who has played it. Just imagine it the next time you're on a treadmill, nerd. Join the Silent Hill Running Team. Running from pyramid head and the nurses is nothing any gamer who has played it. Just imagine it the next time you're on a treadmill, nerd. 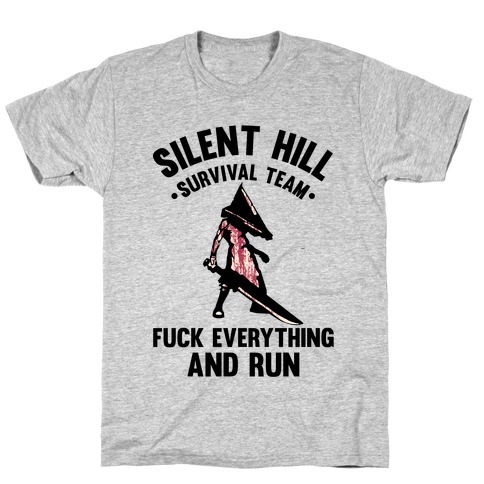 About this Design Silent Hill Survival Team F*** Everything and Run. If you have played Silent Hill then you know that sometimes you walk into the wrong room and you just need to stop looking for ammunition and just run like your life depended on it! Silent Hill Survival Team F*** Everything and Run. If you have played Silent Hill then you know that sometimes you walk into the wrong room and you just need to stop looking for ammunition and just run like your life depended on it! About this Design No matter what it is, from Silent Hill to indie horror games, any good game is sure to get your heartrate going, and hey, even if you're hanging out on the couch, and too totally-not-scared to play them yourself, that counts as cardio! So get fit, watch scary games. No matter what it is, from Silent Hill to indie horror games, any good game is sure to get your heartrate going, and hey, even if you're hanging out on the couch, and too totally-not-scared to play them yourself, that counts as cardio! So get fit, watch scary games. About this Design No matter what it is, from Silent Hill to indie horror games, any good game is sure to get your heartrate going, and hey, even if you're hanging out on the couch, that counts as cardio! So get fit, play scary games. No matter what it is, from Silent Hill to indie horror games, any good game is sure to get your heartrate going, and hey, even if you're hanging out on the couch, that counts as cardio! So get fit, play scary games. About this Design Theres a war coming best you get ready. Time to get to the gym , get swole along with sharpening your claws and fangs. Beacon Hills needs the strongest alphas it can get. Theres a war coming best you get ready. Time to get to the gym , get swole along with sharpening your claws and fangs. Beacon Hills needs the strongest alphas it can get. 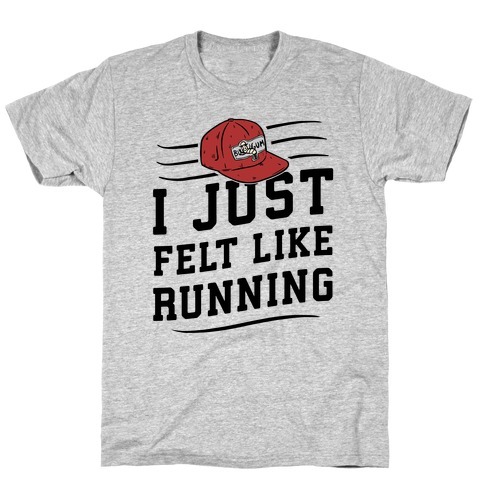 About this Design This cross country or track runner is on the Forrest Gump Running Team. We could run for 3 years if we had to, through the woods, up hills, across the entire continent. Show love for both classic movies and your favorite sport with this nerdy athletic design. 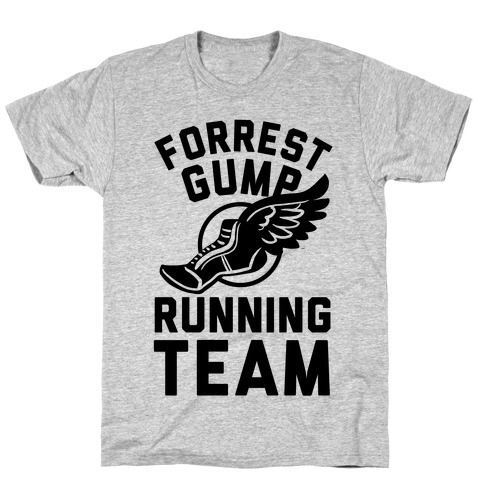 This cross country or track runner is on the Forrest Gump Running Team. We could run for 3 years if we had to, through the woods, up hills, across the entire continent. 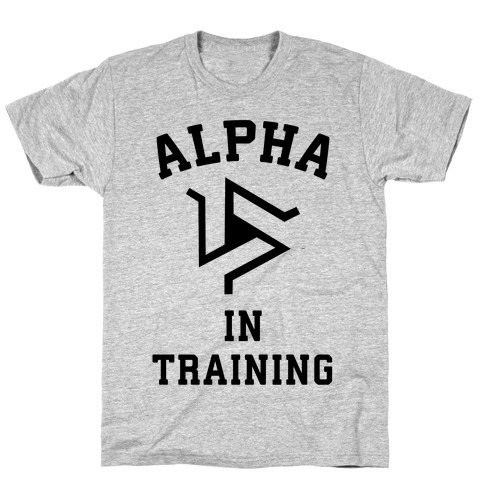 Show love for both classic movies and your favorite sport with this nerdy athletic design. About this Design Yes, this girl goes all the way down. For squats that is! We gotta keep our booty nice and shapely, don't want to wind up like Miley Cyrus or anything. Fit girls represent! Yes, this girl goes all the way down. For squats that is! We gotta keep our booty nice and shapely, don't want to wind up like Miley Cyrus or anything. 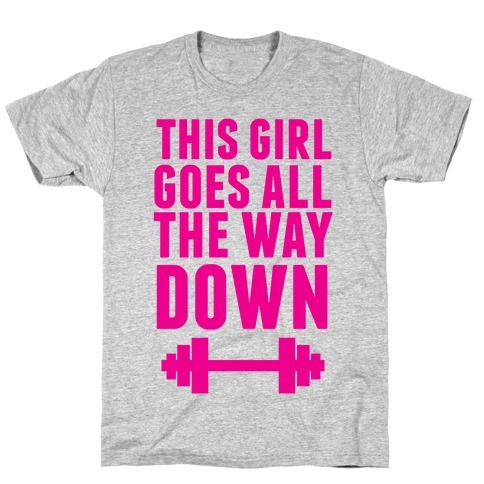 Fit girls represent!